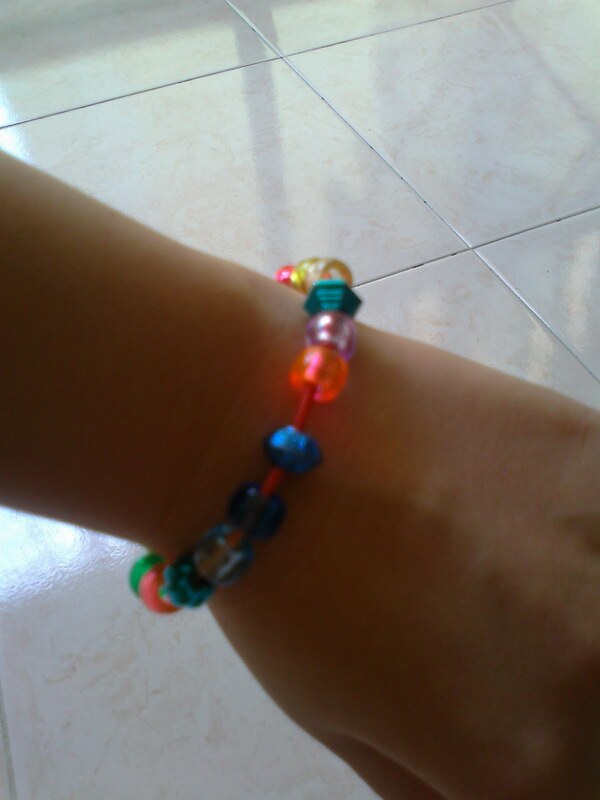 After getting handcraft teapot with a packet of milo inside for consecutively 2 years I was really happy to receive this pretty bead bracelet. Little Dinoegg told me that he made it with teacher's help. He choose the beads and put them through the elastic string. Little DinoEgg help to put it on my hand on Friday night =) Sweet little boy. I'm going to wear it today for the whole day, maybe wear to work tomorrow too.